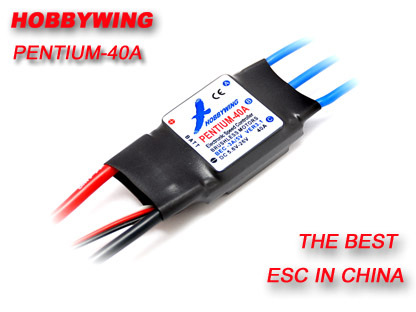 The Hobbywing Pentium series is one of the best high current brushless electronic speed controllers available today. Military standard capacitor with extreme low resistance. Decreases RF interference during flying. Extreme low resistance Printed Circuit Board (PCB) at the power output section. Big heatsink with good cooling effect. Compatible with Hobbywings Program Card.